Graduate students at private universities have the right to form labor unions, the National Labor Relations Board (NLRB) ruled in a 3-1 decision Tuesday. The ruling means that Harvard and other private universities where students have called for a labor union may have to engage in collective bargaining over pay and benefits with graduate students. Harvard had filed an amicus brief on the case in February, urging the NLRB not to change its prior position on graduate-student unionization (which held that student were not entitled to collective bargaining). Collective bargaining, the University’s brief argued, would change students’ academic relationship with their institutions into a labor relationship. 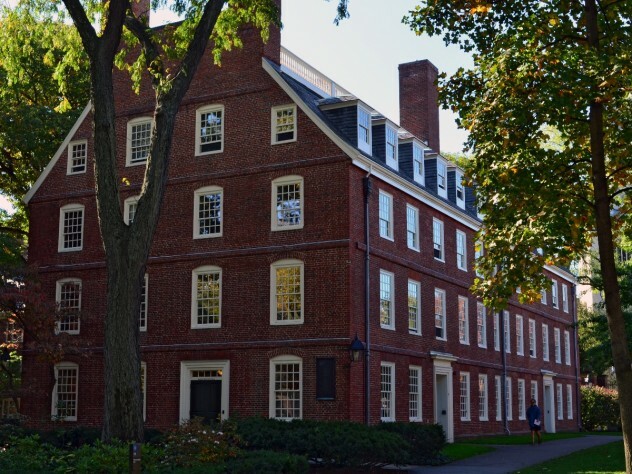 Harvard has been vocal in its opposition to a union, and has created, for example, a website intended to educate students about their pay and benefits. The Harvard Graduate Student Union-United Auto Workers (HGSU-UAW), a group that has been organizing for more than a year to form a labor union, has gathered signatures in favor of organizing from a majority of graduate students whom they consider workers—those engaged in teaching and research. The NLRB’s broad ruling is consistent with that definition, covering both teaching and research assistants. Before formally forming a union, the students would need to hold a vote recognized by the NLRB. Currently, New York University is the only private university to voluntarily recognize a student union. HGSU-UAW celebrated the decision: “We’re so excited...We spent the last year organizing our union in anticipation of this moment. We are joining a national movement of graduate workers demanding a voice in our working conditions,” said James Mitchell, a physics graduate student, in a press release. “We provide quality teaching and research for the University. When we have a democratic voice at work, we know it will lead to better conditions for graduate workers, which will result in better learning conditions for our students.” The union plans to ask the University to agree to hold a fair election on unionization, said Kate Franz, a graduate student in the virology program at Harvard Medical School. Failing that, she said, HGSU-UAW will petition the NLRB to organize an election. In April, hundreds of Harvard graduate students gathered on the Science Center Plaza to call on the University to let them form a union. Students have named many grievances with their working conditions that they hope to address through collective bargaining, including the lack of dental insurance or child-care subsidies, both of which the University provides to faculty and staff members. Graduate students also lose their health insurance after their fifth year, even though many students, particularly in the humanities, take longer to complete their doctoral degrees. Many students report being paid late for their work; the Graduate School of Arts and Sciences (GSAS) last spring said that it was working to make sure students get paid on time. Franz said she hopes to gain dental insurance through collective bargaining with Harvard (she’s spent more than $2,000 on routine dental care this year), but more broadly, she’s concerned with the right of graduate students to have a say in their working conditions. Before Harvard, she was a student at the University of California, San Diego, where, like at many public universities, graduate students were unionized; she had assumed the same would be true here. Graduate students in the humanities and social sciences receive living stipends from the University totaling about $32,000 for the academic year and summer. Students in the sciences receive about $35,000. Last year, during a period of vocal activism among HGSU organizers, GSAS announced that it would double paid leave for new graduate-student parents, from six weeks to 12. It also increased the subsidy for student subway and bus passes from 11 percent to 50 percent, consistent with what faculty and staff members receive.